I have recently become fascinated with blending glass to match gem stones to create finished pieces. 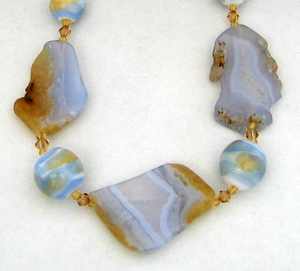 In this case three beautiful slices of Crazy Lace Agate have been paired with twenty-four of my handmade lampwork beads. 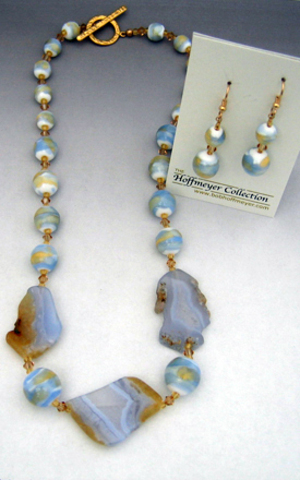 The clasp is gold vermeil and the earrings are 14kt gold fill.